Eastern Europe is packed full of charming cities. Places like Prague and Vienna are all picture perfect tourist attractions which draw thousands of tourists every year. Even among these spectacular neighbors, Budapest stands out. It is a place of grand boulevards, lively nightlife and a rich culture...and some of the best wine we’ve tasted! It has medieval lanes and ornate theatres, as well as thermal baths and wide open parks. It has all this and more, on top of a naturally picturesque location on the banks of the Danube river. We were staying in the historic “Buda” part of the city on the East side of the river. 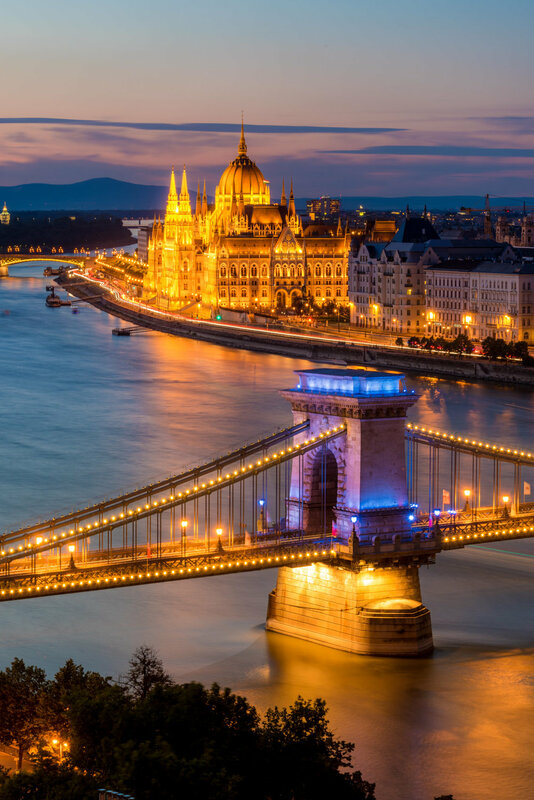 Budapest was originally two cities – Buda and Pest – each occupying opposite river banks and even today both halves of the Hungarian capital feel a bit different to each other. Buda is older, and we were basing ourselves in the heart of its UNESCO World Heritage listed Castle District. Our lodgings were in the Balthazar Hotel, a place which brims with its own unique charm. The Balthazar is a family-owned boutique establishment which prides itself on its design features and it definitely didn't disappoint. To get there, you must traverse the narrow and twisting cobblestoned streets of the oldest part of Budapest. From the exterior you are given no hint of the decorative carnival inside, and instead your eyes are drawn to the busy cafe connected to the hotel. That is not to say that the exterior is not well designed, and the cafe is a masterpiece of understated but refined European style. We arrived at night, and the warm glow that the building gave off was an extremely inviting sight. We were greeted by a friendly doorman in the small lobby area which also doubles as a bar. This is where the unique style I mentioned earlier really becomes apparent. An assortment of odd shaped mirrors adorn the walls while square vintage cases take the place of tables. What makes the space really memorable however, are the light fixtures. A line of exposed bulbs run around the top of the bar while the hotel’s name is spelt out in large red letters and lit up by gold bulbs. The whole thing gives the place a feel which is somewhere between a 1920’s funfair and a gypsy speakeasy. We were checked in and led upstairs to our room. Once inside and settled, we were brought two glasses of local Hungarian wine - a definite treat! While Hungary might not be as known for its vines as France or Spain are, I definitely think their wine is underrated. So when you visit, make sure to sample as much wine as you can. When we walked into our room, it was hard to take our eyes off the grand painting that doubled as a headboard. Depicting a Hungarian market scene the headboard was so detailed and creative and the quirky wall paper added a fun (yet elegant) touch to the space. We stayed in a deluxe room and although it’s their smallest room category the layout made it feel spacious and the large windows flooded the space with light, making everything feel bright and fresh. There are only eleven rooms and suites in the hotel, and each one is slightly different. They are all decorated in the same bohemian theme however, and this links them nicely to the rest of the hotel. We couldn’t stay at Balthazar and not give the restaurant a try. Not only was it highly recommended, but every time we walked past, the delicious smells would drift across to us and tempt us in. Sure enough, when we tried it the Balthazar Grill was fantastic. The food is great, as is the ambiance, while the service is kind and efficient! They pride themselves on sourcing only the best meat from all over Europe, and cook it in a specially imported Josper charcoal oven from Spain. 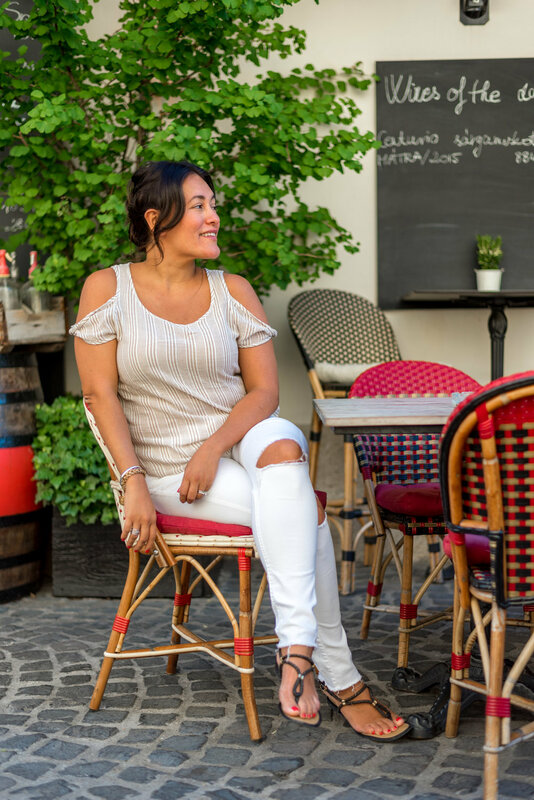 This is also where they serve breakfast, and we would enjoy our morning meals outside on the cobblestone streets. They had a great selection of local and international dishes including burgers, fish and all the other types of comfort foods, that you would expect. While we were there, the weather made sitting outside the only option but there is a large indoor section to the restaurant as well. This was decorated as nicely as the bar, and in winter it would be a great place to eat or chat with some friends over cocktails and appetizers. The walls were painted with fun almost stick figure like drawings, and shelves covered with interesting knick-knacks. 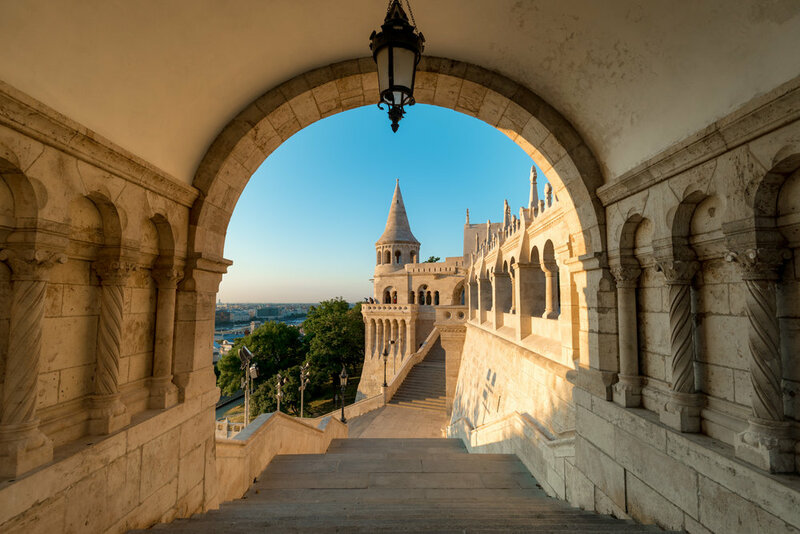 A quick walk from the hotel will take you to many of the city’s best attractions, including; Buda Castle, Fisherman's Bastion, and amazing views of the city. The surrounding streets snake around the hill which runs along the river. Walking up these will take you to Buda Castle and its stunning views of the river, Pest and the famed parliament building. Further along the ridge is the Fisherman’s Bastion – a gothic complex of towers and arches which makes the perfect spot if you want to get some great photos. Visit around sunrise and you’ll most likely be all alone in the golden morning light. Across the river, the Pest side of the city has a completely different feel and is not to be missed. Its streets are wider and its buildings grander and more ornate. There is plenty to see and do in this part of town including Heroes Square, the markets and many of the museums. Slightly upriver is Margaret Island which is one of the city’s largest and most beautiful parks, while the bridges which connect the two sides of the city are attractions in themselves. Budapest is famous for its thermal baths, and if you are in the city for a while you should definitely give one a try. For locals they are an important social ritual, and the buildings which house them are usually worth seeing on their own. All in all, Balthazar Hotel ticks all the boxes. It has great design, comfortable rooms, friendly service and a bar and restaurant which you should visit even if you aren’t staying in the hotel. 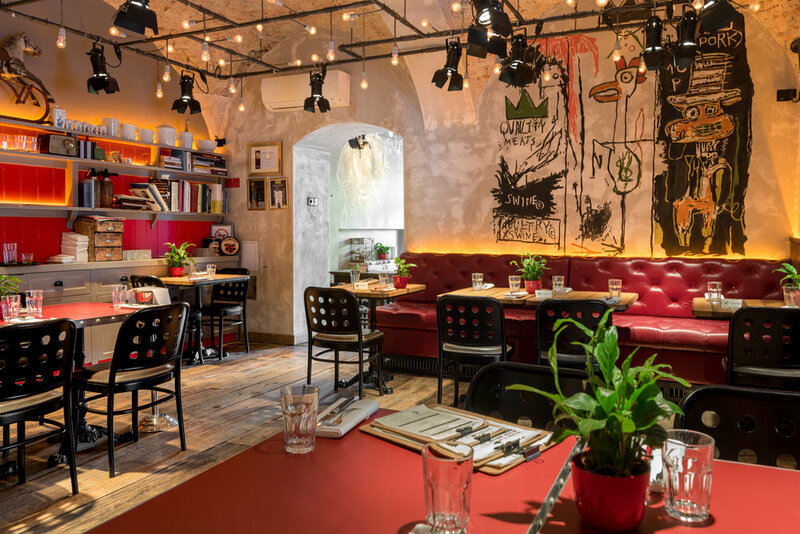 It makes the perfect accommodation for a trip to Budapest, especially if – like us – you are into boutique hotels.